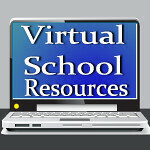 Virtual School Resources: Thomas Jefferson blogs? I want to make history interesting and relevant to you. Am I succeeding? History, by apprising the people of the past, will enable them to judge of the future; it will avail them of the experience of other times and other nations; it will qualify them as judges of the actions and designs of men; it will enable them to know ambition under every disguise it may assume; and knowing it, to defeat its views. These words are part of the closing challenge in every presentation I make as Thomas Jefferson. He recognized that human nature does not change. Lessons learned from the past can not only guide the present, they can protect the future. He was particularly averse to human ambition, the desire of a few to gain authority over the many. He hated the idea that the few … the wealthy, well-born, or those already entrenched in power … were somehow superior to the masses. Reading history would help one recognize ambition, no matter how it presented itself. Once recognized, it could be defeated. Visit http://thomasjeffersonleadership.com/ for more information. Do you include leadership training in your teaching? One privilege of homeschooling is teaching the truth about history - without textbooks that leave parts out or add.